Mary, a participant who has mild Cerebral Palsy. Orienteering is a fantastic way to get outside with friends and family and Derwent Valley Orienteers are leading the way with making this a fully inclusive sport in Derbyshire. Judith Holt, a coach for the Matlock club nights, explains how the club approach being inclusive for everyone. 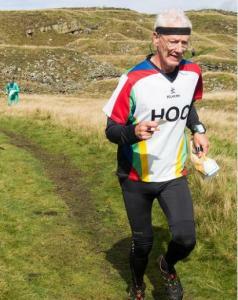 "Orienteering is an outdoor adventure sport using lots of different places. Because we go to a wide variety of areas you can choose one that is suitable for you. At events in town and city parks you could follow a course using a mobility scooter and there will be an accessible toilet available. If your priority is to find a sport where you are not under pressure to be part of team and you don't mind how rough the ground is, any of our local events could suit you. When we advertise an event on our website www.dvo.org.uk we always include details of someone to contact so you can get any extra information you need to find out whether it will be suitable for you." Greeters are on hand to help anyone. "At each of our events we have people ready to 'meet and greet' you and offer advice. You will find a variety of courses which get progressively harder. They start with routes following paths and progress so that you might be cutting across country to find a point in the middle of woodland. You can choose the right course for you regardless of your age. You can do the course on your own, as part of a group or as an individual with someone shadowing you just in case you need help." "Permanent courses give beginners an opportunity to get used to the orienteering map, which is very detailed and uses a different colour scheme to normal maps. Doing a permanent course is a great way to explore an area. It's good preparation for an orienteering event, where you'll be doing a course with other people a few minutes in front of you or behind you. It's great exercise, and you get the satisfaction of finding the checkpoints!" Watch Transition 2 Leaners Matthew and Aiden explain how to use a permanent orienteering course. Courses are available across Derbyshire. "The British Orienteering website offers the opportunity to download maps of permanent orienteering courses all over the country so they are good for families to use as a holiday activity. People with limited mobility may find it easier to access the permanent courses. These tend to be in parks, where the terrain is less challenging. There are Trail-O courses designed for people with mobility issues, but these are at larger events." 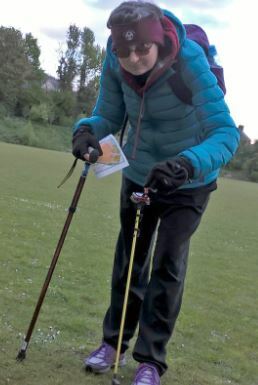 "When we organise orienteering activities at taster sessions or club nights we make sure that there are several short activities rather than one long course so that people get lots of support and only do as much as they feel comfortable with. We know from experience this can help people grow in confidence and become more resilient. Our activities are usually flexible so that they can be made harder or easier, competitive or non-competitive depending on what people want." People of all ages are club members. "Our course planners are encouraged to think about the needs of the people who are most likely to do each particular course. Some courses are popular with older people (including those in their 80's) who often have hidden disabilities. Our Short Green course aims to challenge navigation skills as much as the hardest course but will avoid hard physical challenge. 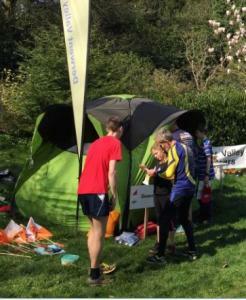 Our coaches and leaders are part of the British Orienteering Federation so we are able to share experiences and learn from coaches from all over the country. Our British Schools Orienteering Championships are open to all without having to win at a qualifying event. The rules allow us to make appropriate adaptations. For example, everyone has a set start time to make the competition as fair as possible but someone with unstable diabetes can check their blood glucose level just before they are due to start and be given a new start time if they need to wait to eat something before they run. At a championship event shadowing by an independent person is allowed for someone who has a special need." "Sometimes we have people with hearing impairments come along and we have learnt how important it is to make sure everyone knows that the leader is making an announcement. You don't need to be able to communicate with speech to orienteer, when you find the points on your map you might use a pen, a pin punch or an electronic dibber to show that you found the right place. We offer a number of our events as a short series in a local area. That makes it easier for people to travel and helps if someone is trying to get back into a routine of exercise. We will invite you to give us an email address so that we can keep in touch with you to make sure you know about the next event." "Remember that people have hidden disabilities. It is important to make physical adaptations and changes to rules to make your sport inclusive but it is just as important that the people who lead and coach are able to listen to and understand the needs of people with disabilities." *Support and resources for clubs on how to be inclusive are available on the Derbyshire Sport website, click here. "As well as maintaining the permanent courses and creating new ones, we may put on an event for groups with additional needs in order to gauge their requirements and interest in future involvement." 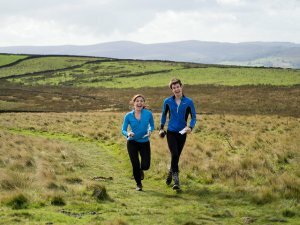 British Orienteering have details of all permanent courses in the country, they allow people to explore open spaces whilst getting closer to nature. For details, click here.